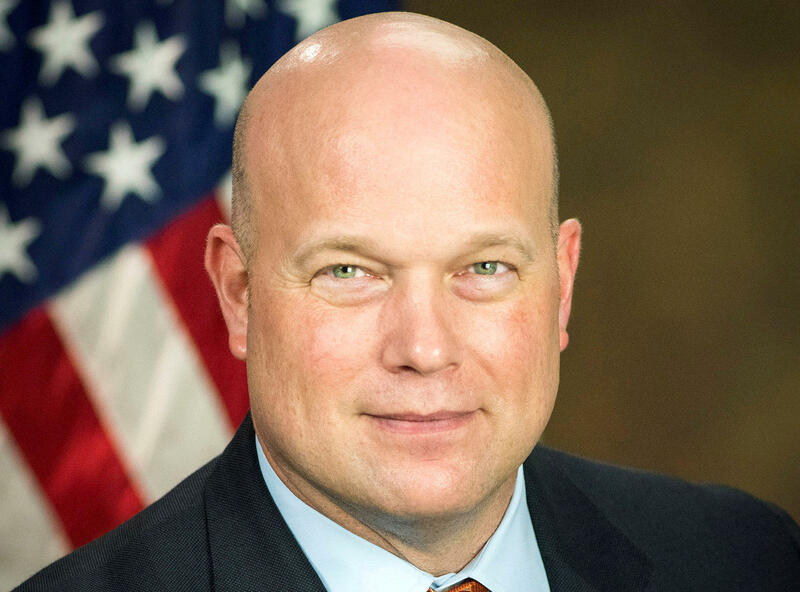 NEW YORK -- Acting Attorney General Matt Whitaker will consult with Justice Department ethics officials about "matters that may warrant recusal" amid pressure from Democrats to step aside from overseeing the special counsel's investigation into Russian interference in the 2016 presidential election. Whitaker is "fully committed to following all appropriate processes and procedures," including consulting with senior ethics officials about his "oversight responsibilities and matter that may warrant recusal," Justice Department spokeswoman Kerri Kupec said in a statement Monday. Whitaker's new role is about to be challenged in court, as well. Maryland's Attorney General plans to ask a federal judge to block President Trump's appointment of Whitaker and recognize Rod Rosenstein as the acting attorney general, CBS News has learned. In an interview with CNN in July 2017, Whitaker suggested the Mueller probe could be starved of its resources by cutting the budget "so low that his investigation grinds to almost a halt." He also penned an op-ed last year that said Mueller would be straying outside his mandate if he investigated Trump family finances. And in an interview with a talk-radio host, Whitaker maintained there was no evidence of collusion between the Kremlin and the Trump campaign. Whitaker, a Republican Party loyalist and chief of staff to just-ousted Attorney General Jeff Sessions, was elevated last week after Mr. Trump forced Sessions out. Mueller's investigation had been overseen by Rosenstein until Sessions' ouster. The Senate's top Democrat, Sen. Chuck Schumer, called for Whitaker to step aside from overseeing Mueller's investigation and said Democrats would seek to tie a measure protecting Mueller to must-pass legislation if Whitaker did not recuse himself. Schumer, House Minority Leader Nancy Pelosi and other top Democrats sent a letter Sunday to Lee Lofthus, an assistant attorney general and the Justice Department's chief ethics officer, asking whether he had advised Whitaker to recuse himself. It was believed Whitaker wouldn't be obligated to comply with the Justice Department's officials' recommendations. If Whitaker were to recuse himself, Rosenstein would resume his role overseeing the Russia probe, notes CBS News correspondent Paula Reid.